At Drs. Viglielmo: Biological Dentistry, we use the latest technologies to ensure that our patients have the best treatment experience possible. We utilize iTero Digital “Goop-less” Imaging system in our office, which allows us to take a digital picture of you and better predict how a particular treatment or cosmetic procedure will change the appearance of your smile. This system is beneficial for patients who are considering cosmetic procedures but are not sure if they’re ready for dramatic changes. Digital imaging also allows us to document your dental situation—taking pictures of your face, teeth, and smile that provide us with a permanent dental record and visual documentation of your treatment. For an example of the usages of iTero Digital “Goop-less” Imaging, consider Invisalign® treatment. Until recently, creating a personalized Invisalign® treatment plan required that patients sit through the uncomfortable process of taking impressions. This involves sitting in your dentist’s chair with a mouth full of dental putty—unable to talk or swallow—for a total of nearly ten minutes for both arches. But iTero removes the need for such putty (hence the “Goop-less” part of its name). The iTero Digital “Goop-less” Imaging system utilizes an optical scanning wand to create fully-realized, 3D digital models of our patients’ teeth, jaws, and bites. It is cleaner, easier to use and much more precise than putty impressions. Dentists like Dr. Maureen & Dr. Jeffrey Viglielmo are embracing this new technology to develop customized treatment plans for their Invisalign® patients. 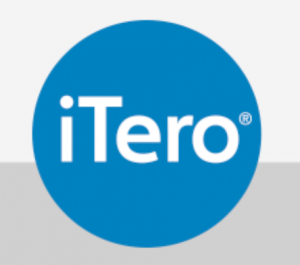 In fact, as of March 2016, iTero has been used in more than 1 million Invisalign® scans world-wide. Another example of a procedure where we have reduced the use of impression materials is during the fabrication of our crowns and onlays. By eliminating the impressions, we have also eliminated the stone model step which means less, one-time use, materials ending up in our landfills. Also, since the scan is digital, it is conveyed to the lab over the internet – eliminating a shipping (an environmentally unfriendly) step. It speeds up the turnaround time as well so that our crowns, onlays and Invisalign® orders can be filled in less than a week generally. We are also using this technology for snore and occlusal appliances, space maintainers and other orthodontic appliances like retainers. Going forward, we will be using it more for other procedures such as dentures and implant cases. To experience the difference of iTero Digital “Goop-less” Imaging and begin your customized Invisalign® treatment plan or other cosmetic dentistry procedure, contact the team at Drs. Viglielmo: Biological Dentistry. Our Kingston, NY office would love to help you smile brighter.